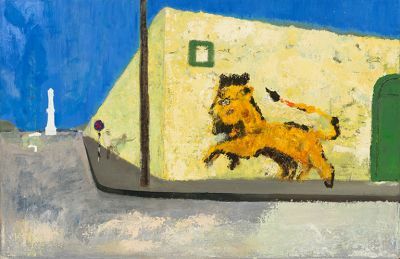 Peter Doig is one of the most influential figurative painters working today. In his exhibition at the Secession—his first solo show in Austria—he will present a new series of works. *Peter Doig, 2001, 20 Questions by Matthew Higgs in Peter Doig, Published by Morris and Helen Belkin Art Gallery, University of British Columbia.